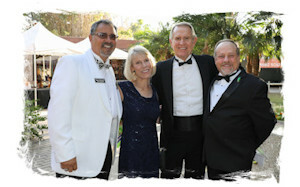 Over 300 guests attended the black-tie, "Mayan Jungle" themed event Zoofari on August 25th hosted by The Friends of Santa Ana Zoo (FOSAZ) the non-profit 501(c)(3) organization that was founded in 1972 to support and improve the Santa Ana Zoo. 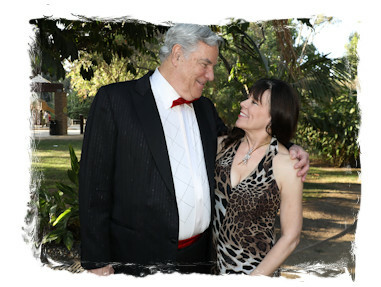 Zoofari takes place at one of the most exotic venues in Orange County, outside and under the stars on the grounds of the zoo. Guests enjoyed a first-class dining experience catered by Parties by Panache with a hosted bar including a special drink, the "Blue Parrot" which consisted of rum, fruit juice and blue curacao. R.W.B. Party Rentals provided the unique decorations with a variety of colorful scenic designs reminiscent of a jungle forest complete with a Mayan City of Gold. 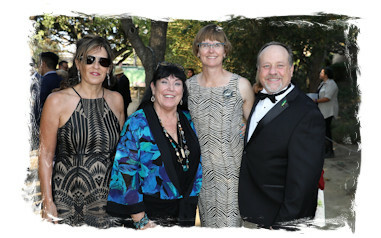 "Zoofari has played an integral role in raising the funds needed for all the special projects and improvements going on here at our favorite community Zoo including educational programs, breaking ground on new animal habitats, tackling important conservation initiatives, introducing new rides and upgrading service facilities for our guests to use and enjoy," said Cathi Decker, event host and Executive Director of FOSAZ. 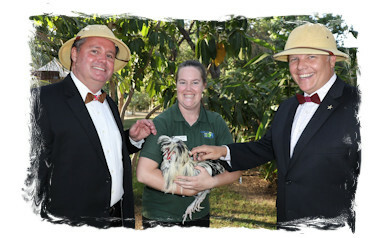 Guests began the night being greeted by various animals and their docent "handlers". A Ball Python, Spectacled Owl and a French Rooster were just some of the wildlife that welcomed everyone as they entered the Santa Ana Zoo. Guests were also privy to tour the Zoo grounds and see the completion and ride the Fifty Monkey Ferris Wheel, visit with the 50 monkeys the Santa Ana Zoo is famous for, as well as check the status of new Giant River Otters habitat and Primate Trails Experience that is being created. Emmy Award winner, Meteorologist and sportscaster for the KTLA 5 Morning News Henry DiCarolo served as emcee and auctioneer for the evening. DiCarlo was born and raised in the city of Orange. He remembers coming to the Santa Ana Zoo as a child and bringing his children when they were young so he was more than thrilled to be back at a place where he has such fond memories. 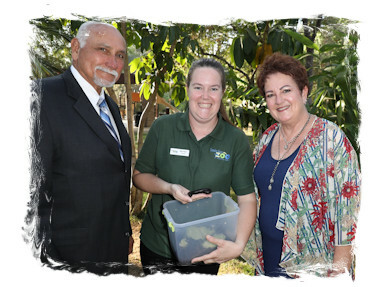 Honored this year were the U.S. Bank's staff members, spearheaded by Leanne Miller and John Kearney, who have supported the Zoo over the years through grants and volunteer projects. They were instrumental in getting the Ferris Wheel financed and completed. 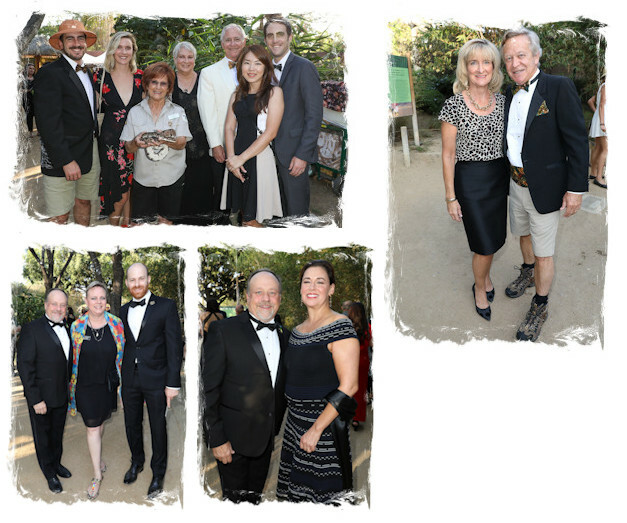 The event netted close to $100,000 which included almost $59,000 from the silent and live auction where funds will be going towards the Giant River Otter exhibit and upgrades to the Santa Ana Zoo. Live auction items were an DJI Mavic Pro Quadcopter Drone donated by FOSAZ Board Member Howard Hall; a Safari Themed Dinner Party for twelve donated by Parties by Panache; a Vegas package that includes a Travelpro suitcase stuffed with 25 $5 California Scratchers, 2 roundtrip Southwest Airline Tickets, and 8 days/7nights at the Hilton Grand at the Flamingo; Henry DiCarlo donated a KTLA one of a kind VIP experience for a private tour, meet & greet, photo opportunity and tour of the soundstage; a South Coast Plaza shopping spree ($750), a private tour with the Zoo Director of the Santa Ana Zoo with rare behind the scenes with the animals along with a sit-down lunch; and a Michael Kors Jet Set Travel handbag donated by FOSAZ Board Member Patty McClendon stuffed with $100 of California scratchers (donated by Rib Ribble) and a stack of cash donated from FOSAZ Board Members, Advisory Board Members and Zoo Staff - totaling over $700. After the program, the dance floor was packed with guests dancing to the lively tunes of "Groove Factory". 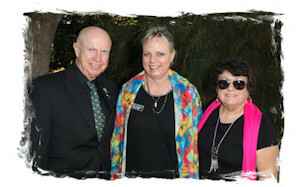 Zoofari is chaired by Cathi Decker and sponsored by FOSAZ, a non-profit 501(c)(3) organization which has helped support and improve the Santa Ana Zoo for over 47 years.